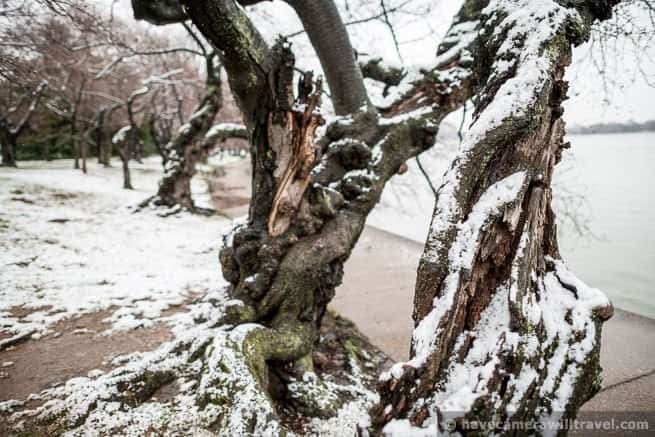 It's a pretty unpleasant morning down at the Tidal Basin. Very windy, very cold, and even some more snow showers for good measure. Even with the sun coming out to start the afternoon, it's still cold and windy. It's officially spring, but it sure doesn't feel like it. The area got yet another few inches of snow yesterday, with it snowing steadily all day, although not all of it stuck. 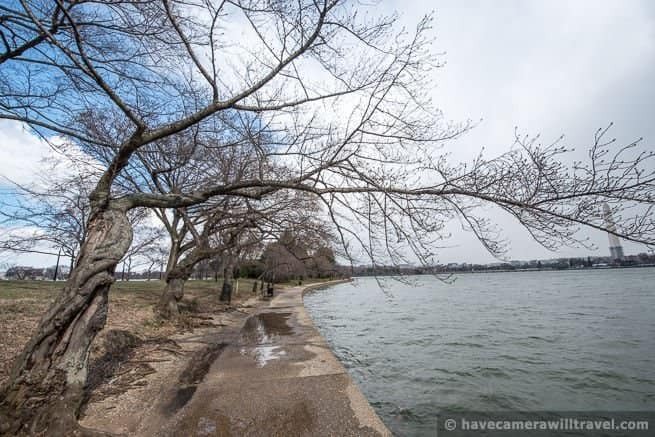 The Tidal Basin itself is now mostly snow-free, but the fields next to it still have a thin covering. Once you get outside the downtown area, some areas have slightly more on the ground. 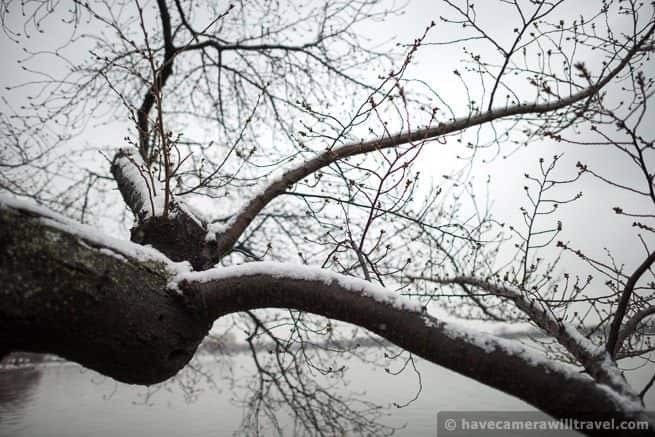 Hopefully this will be the last round of truly wintry weather and we can now get on with the business of spring. 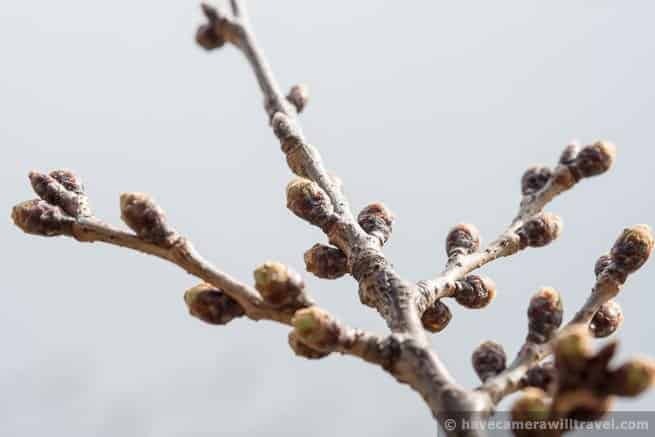 The cold weather has really pushed back the blooming not just the cherry blossoms but also everything else that blooms around this time. Typically we'd have a lot more daffodils out by now along with various other blooming trees. And normally the tulips would be starting to come out. 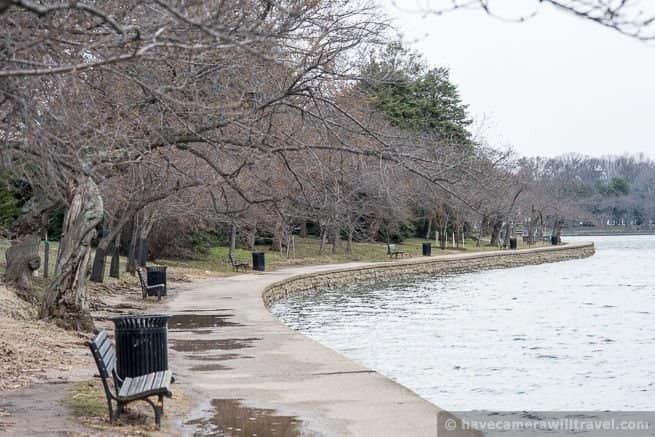 But this year nearly all the area's flowering plants and trees are late, including the ones around Hains Point and the National Mall that would usually be blooming by now. 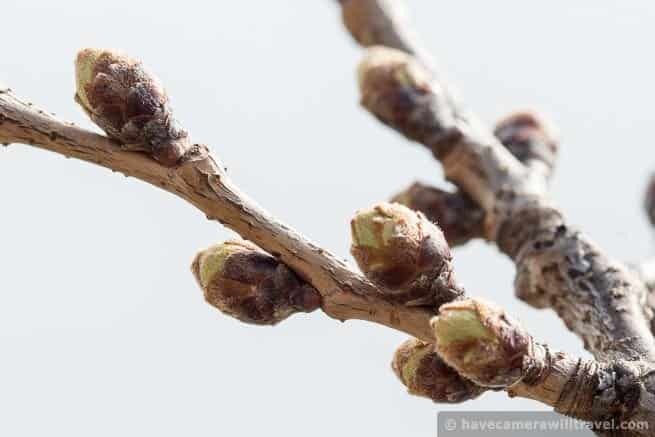 For comparison, here are some photos from the very warm year and early bloom of 2012. 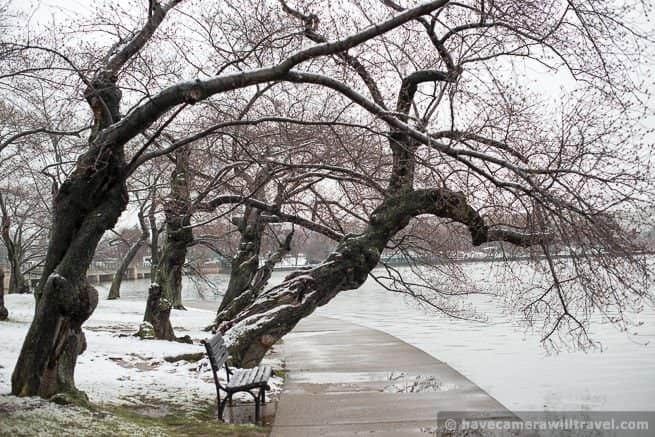 On this day in 2012 we were 6 days past peak bloom and nearly all of the blossoms had fallen. 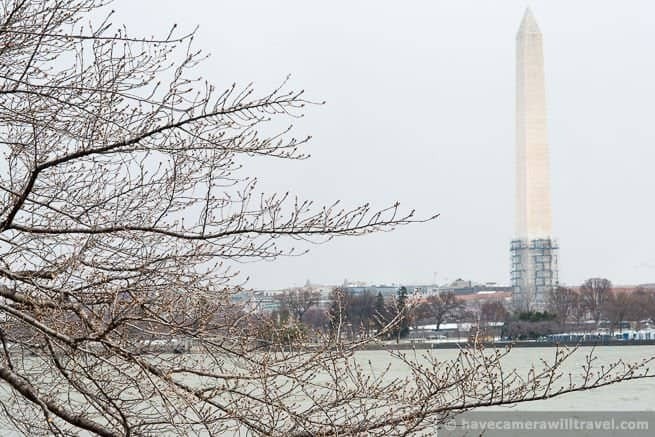 The National Park Service arborists have categorized the cherry blossoms to currently be in the "florets visible" stage (as of March 23). In a very warm year, like 2012, it was only a week between that and the "puffy white" stage. But this is most definitely not a warm year, so more likely is the typical 2 to 3 weeks between. 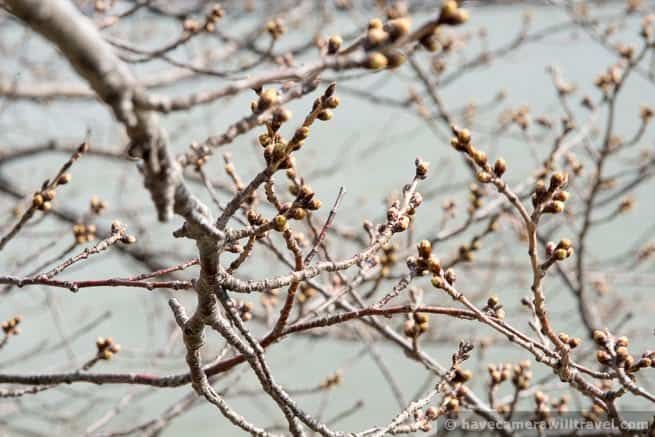 Peak bloom typically comes about 5 to 8 days after the puffy white stage. Now that we're getting closer, there's a good chance the NPS will refine or revise their peak bloom prediction in the next week or so. If/when they do, I'll post the update. 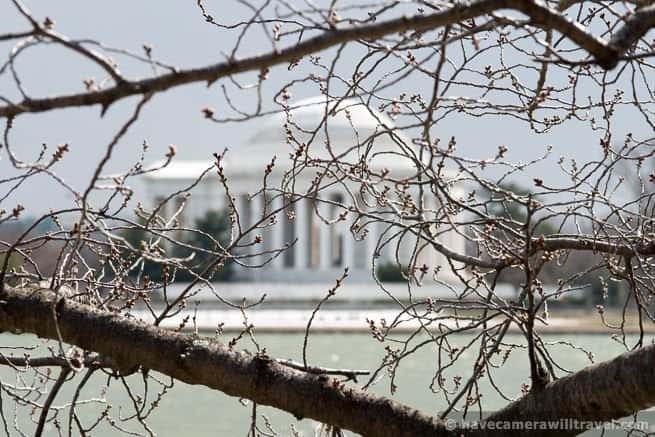 There's not going to be much to see in the way of blossoms this weekend, but the Cherry Blossom Festival is in full swing. 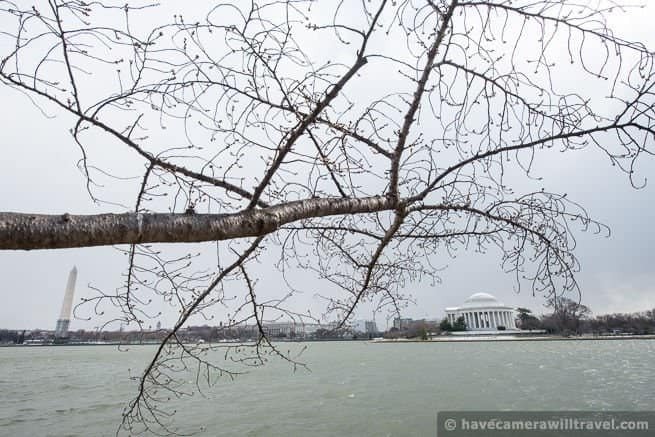 Saturday Sunday sees the Blossom Kite Festival on the National Mall (the kite festival was originally scheduled for Saturday, but the rainy forecast prompted rescheduling to Sunday). And there's an evening art, music, and dance party. You can find the full schedule here. The paddle boats are also now back in business for the season. Unfortunately the forecast is for a soggy weekend, although thankfully warmer than it has been. 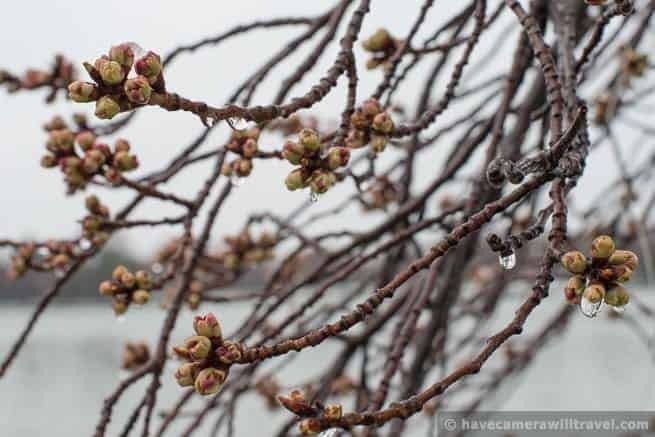 In 2013 the peak bloom date was April 9, which is right in the predicted range this year of April 8-12. And last year we also had some late season snow. But comparing the photos below (all from March 25, 2013), especially the close-ups, with the ones above from this year, you can see we're still tracking behind last year. That's backed up by the NPS tracking, which has the development about a week behind so far.